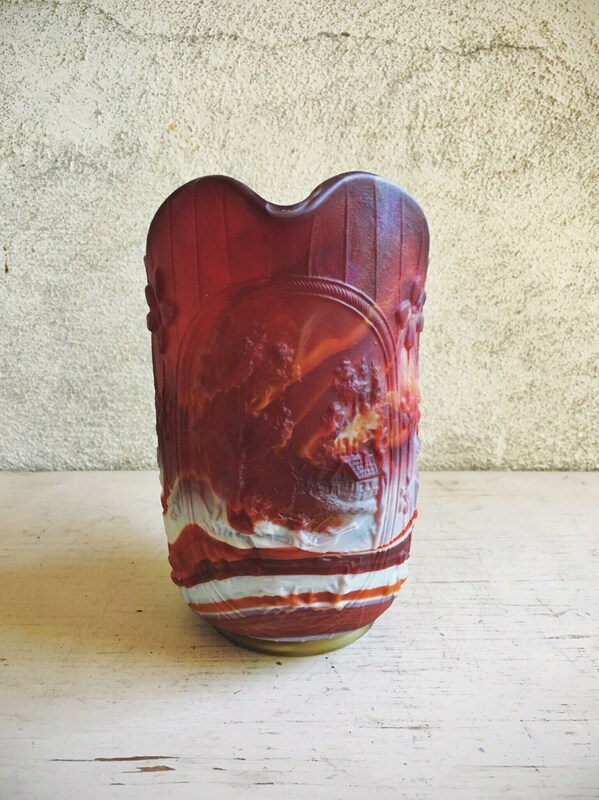 This red slag glass pitcher by Imperial is stunning, with swirled reds from deep to light, blended with whites combining to create streaks of amber and orange. On the sides and front are images of a windmill, cabin, boat, and flowers, and the scalloped edge along the top adds to the ornate look and feel. 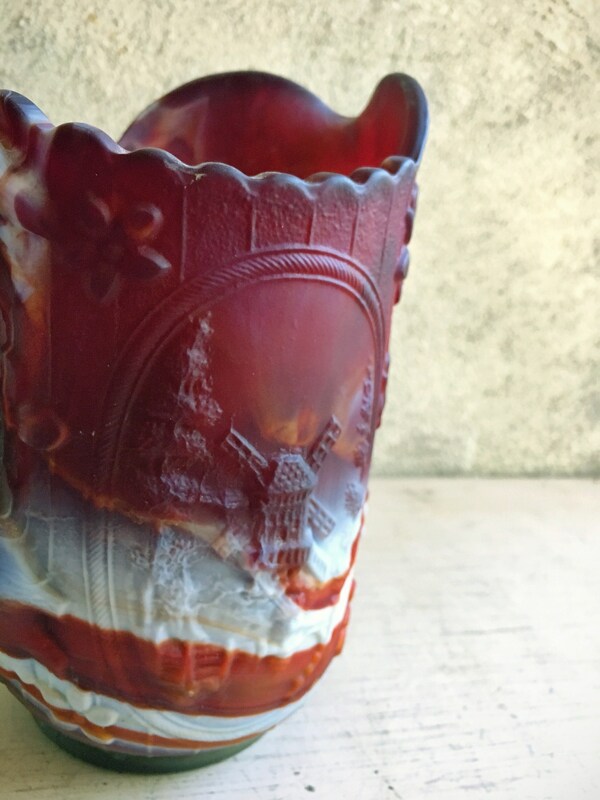 Imperial made ruby slag glass--from the Olden "End o'Day Ruby" line--in the 1960s. 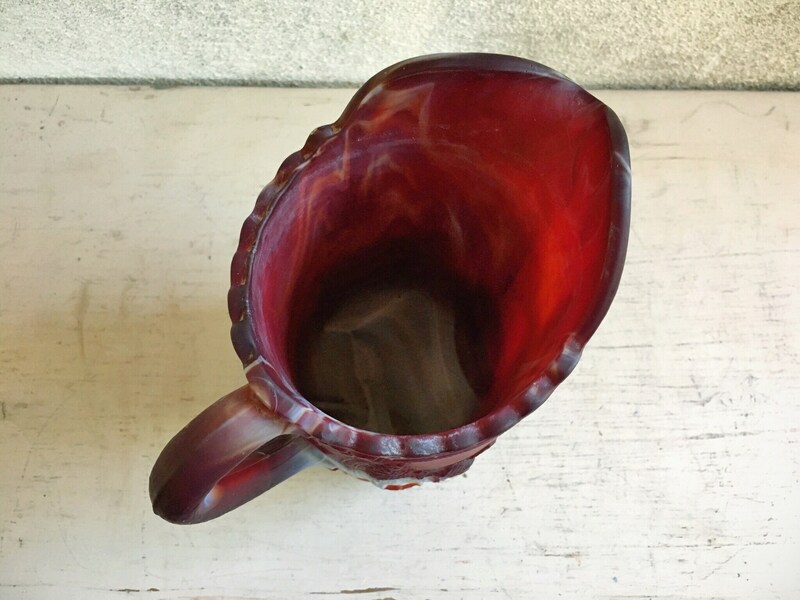 Red slag glass is considered to be quite special, often referred to the "ultimate" in slag glass as it combines two collectible colors: ruby and white milk glass. 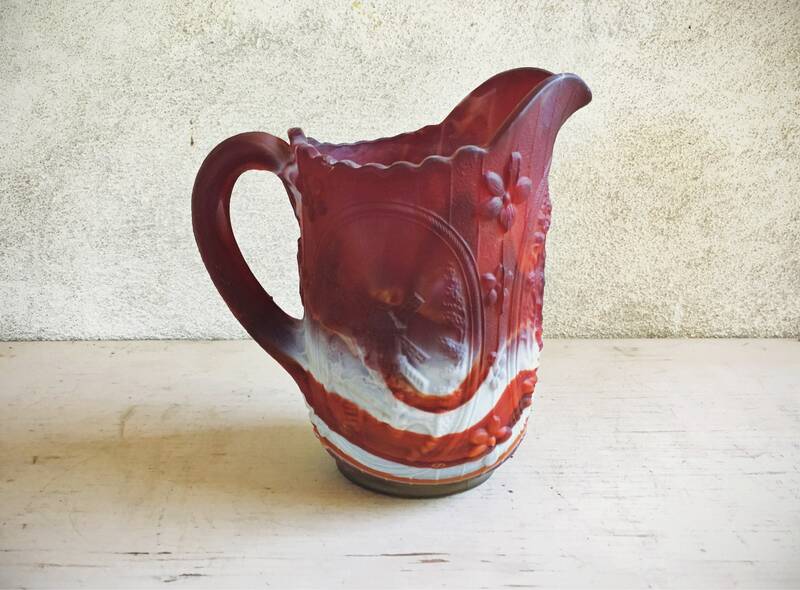 This particular pitcher is one of the prettiest of this line for the amount of deep ruby red, especially at the rim. 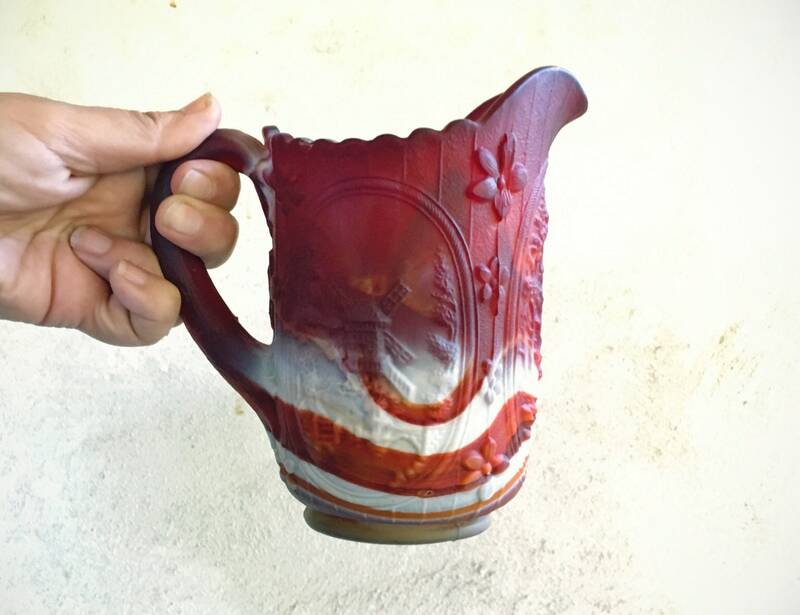 Measures 6-1/2" tall by about 3-3/4" in diameter and 6-1/4" across the handle to spout. 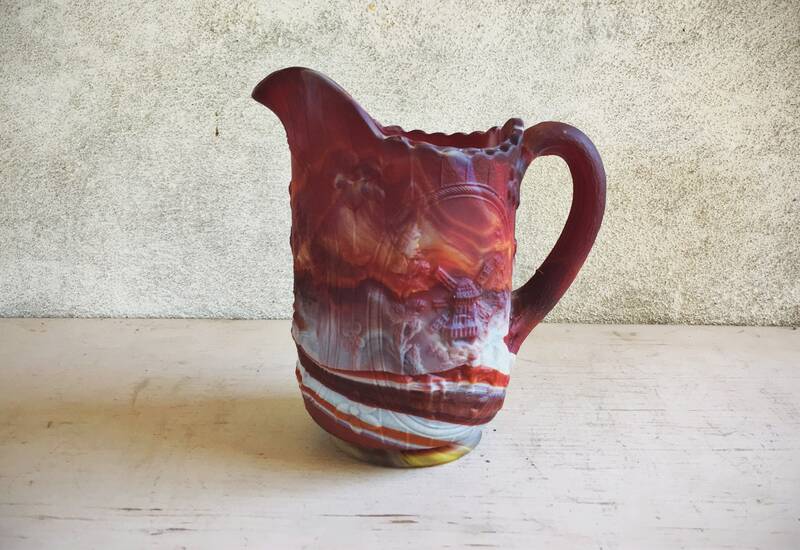 This is a mid-sized pitcher and holds a bit over one pint of liquid. No chips or cracks. Super solid and quite heavy at just over two pounds unpacked. Will be double boxed for shipping. 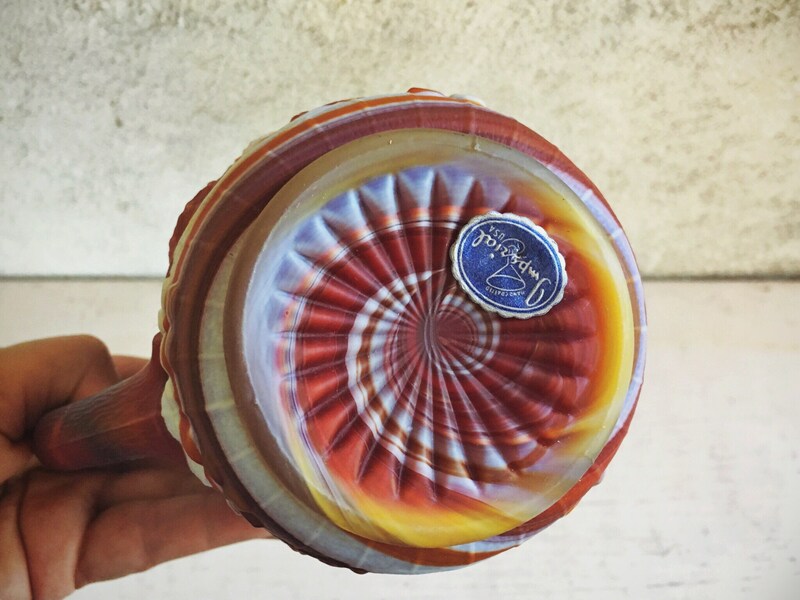 An exemplary piece of this highly collectible art glass, perfect for the holidays!.